My guest post just came out on the EQ List (Entrepreneur’s Questions). But in my Five Key Questions for Savvy Web PR, I left one question off. The question for entrepreneurs that I missed was: “Why am I doing…what I am doing? (i.e. whatever PR activities I am engaging in),” or phrased another way: “What are my goals?” for each PR activity my business is engaged in. Social media is one of those activities that entrepreneurs too often jump into without asking that key question. One reason to incorporate social media activity into your PR strategy is to strengthen your brand and increase your business’s visibility. To make sure that your customers and prospects see your business as an active participant in the online places where they “hang out” or spend time. It can also protect your brand, but ensuring that others don’t co-opt or infringe on your brand. If your customers are active on social sites and they are talking about your product online – either positively or negatively, then you and your business need to be there. If your clients are talking about your industry then you should probably be there, and if they are talking about your competitors, then you should probably be there. How active you need to be depends in part on how active your customers are there, how effective your competitors are online, and what resources you have available to help you engage with your customers. Social media has, for better and worse, given those who are connected online a megaphone to talk about great customer service experiences, and to talk about dismal customer service experiences. And often their peers will amplify that message, especially the negative ones. A good goal for social media activity is to participate in the customer service conversation around your brand, your industry and sometimes, if done carefully, that of your competitors. This type of activity really needs a PR plan backing it up – how to handle negative comments & reviews, (while engaging and solving problems, not trying to sweep them under the non-existent rug); how to handle “trolls” – those who go online to just be negative, etc. All businesses want to attract prospects and convert them into new clients & customers. 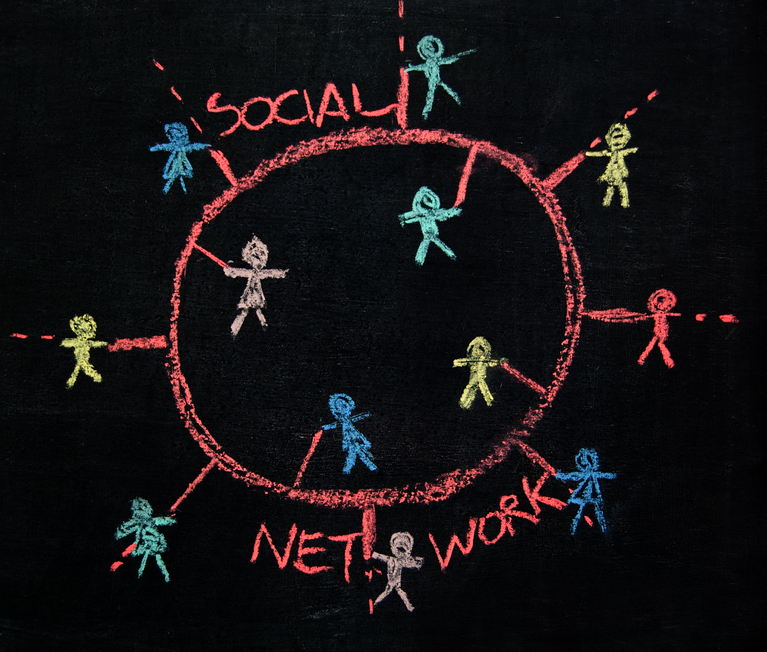 Social media can be a way to reach those consumers or B to B customers directly. It can also be a waste of time. Follow some of the steps or questions I outlined in the #EQList post I linked to in the first paragraph. Then see how you can make this work for you, not frustrate you. You need to hone in on your audience/customers; Identify what subjects/topics interest them. Then figure out where they “hang out” online, and only THEN decide if it makes sense for you to participate and craft a plan based in part on that research, the tips fro my guest post, and the goals you develop from this list. Using social media to connect with existing customers allows you to stay top of mind when a customer needs your product or service. If you maintain a consistent, helpful presence on social sites where your existing customers “hang out” (or spend their time), you have a better chance of retaining them as future customers. You also increase your potential to get referrals – direct: “hi Cathy, I think John’s product is just what you need,” and indirect referrals or WOM (Word of Mouth) “I just loved your product John; it did just what I needed it to do,” often more specific in detail and with social media, that person’s online followers and friends have the potential to see and be exposed to your brand in a positive way. Social media allows you to easily see what the increasing number of people who are “plugged in” through their computers, and through their mobile smart phones, are are saying about your competitors and their products – both pros and cons. You do have to use this information wisely. Some businesses see a competitor’s activity and say – we need to do that too. Sometimes that’s a good decision; other times it’s not. Other businesses will look carefully at competitor’s complaints, reviews, Tweets, Facebook and forum posts and notice that a they are not serving a segment of your shared customer base, then research it further to see if serving that segment of your market is a sound business idea, or if there are barriers that make that unprofitable for your biz. Social media can help your business rock, or it can also be a waste of time and money, especially if you haven’t defined your primary and secondary goals for its use. Then tied how its use supports your business goals. Identify your resources to achieve those goals. Then feed that all back into your integrated PR strategy and marketing plan. Then, once you plan has been in place for a few months, step back and review. What have you learned? What is working, what needs tweaking and what just needs more time. Social media for small businesses is not like waving a magic wand, but it has become a necessary part of most businesses, and it can take time, and effort, to make it work for you…and for your customers.